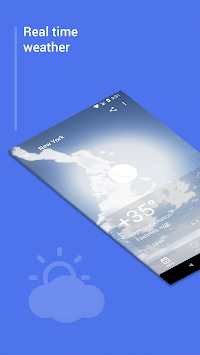 The weather changes frequently and with our application you will be ready for any surprises. 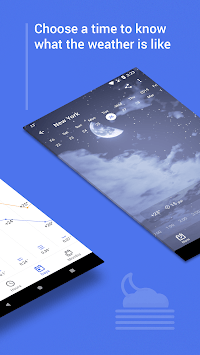 Quickly and easily find out the exact weather forecast for today, tomorrow, for a week, for 14 days, a long range weather forecast for a month, or a preliminary forecast for a year. 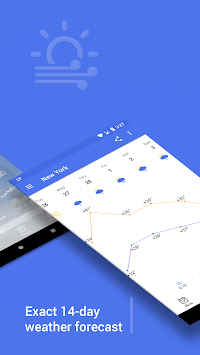 Our application provides the ability to share weather data with other people. Weather data is available for many locations around the world: New York, Los Angeles, Chicago, Houston, Philadelphia, Phoenix, San Antonio, San Diego, Dallas, San Jose, Austin, Indianapolis, Jacksonville, San Francisco, Columbus, Charlotte, Fort Worth, Detroit, El Paso, Memphis, Seattle, Denver, Washington, Boston, Nashville, Baltimore, Oklahoma City, Louisville, Portland, Las Vegas, Milwaukee, Albuquerque, Tucson, Fresno, Sacramento, Long Beach, Kansas City, Mesa, Virginia Beach, Atlanta, Colorado Springs, Omaha, Raleigh, Miami, Oakland, Minneapolis, Tulsa, Cleveland, Wichita, Arlington, New Orleans, Bakersfield, Tampa, Honolulu, Aurora, Anaheim, Santa Ana, St. Loius (Saint Louis), Riverside, Corpus Christi, Lexington, Pittsburgh, Anchorage, Stockton, Cincinnati, St. Paul (Saint Paul), Toledo, Greensboro, Newark, Plano, Henderson, Lincoln, Buffalo, Jersey City, Chula Vista, Fort Wayne, Orlando, St. Petersburg, Chandler, Laredo, Norfolk, Durham, Madison, Lubbock, Irvine, Winston-Salem, Glendale, Garland, Hialeah, Reno, Chesapeake, Gilbert, Baton Rouge, Irving, Scottsdale, North Las Vegas, Fremont, Boise, Richmond, San Bernardino, Birmingham, Spokane, Rochester, Des Moines, Modesto, Fayetville, Tacoma, Oxnard, Fontana, Columbus, Montgomery, Moreno Valley, Shreveport, Aurora, Yonkers, Akron, Huntington Beach, Little Rock, Augusta, Amarillo, Chongqing, Shanghai, Beijing, Lagos, Dhaka, Mumbai, Chengdu, Karachi, Guangzhou, Istanbul, Tokyo, Tianjin, Moscow, São Paulo, Kinshasa, Delhi, Baoding, Lahore, Cairo, Seoul, Jakarta, Wenzhou, Lima, Mexico City, London, Bangkok, Xi'an, Chennai, Bangalore, Ho Chi Minh City, Hyderabad, Shenzhen, Suzhou, Nanjing, Dongguan, Tehran, Quanzhou, Shenyang, Bogotá, Hong Kong, Baghdad, Fuzhou, Changsha, Wuhan, Hanoi, Rio de Janeiro, Qingdao, Foshan, Zunyi, Santiago, Riyadh, Ahmedabad, Singapore, Shantou, Ankara, Yangon, Saint Petersburg, Sydney, Casablanca, Melbourne, Abidjan, Alexandria, Kolkata, Surat, Johannesburg, Dar es Salaam, Shijiazhuang, Harbin, Giza, İzmir, Zhengzhou, New Taipei City, Changchun, Cape Town, Yokohama, Khartoum, Guayaquil, Hangzhou, Xiamen, Berlin, Busan, Ningbo, Jeddah, Durban, Algiers, Kabul, Hefei, Mashhad, Pyongyang, Madrid, Faisalabad, Baku, Tangshan, Ekurhuleni, Nairobi, Zhongshan, Pune, Addis Ababa, Jaipur, Buenos Aires, Incheon, Quezon City, Toronto, Kiev, Salvador, Rome, Dubai, Luanda, Lucknow, Kaohsiung, Kanpur, Surabaya, Taichung, Basra, Taipei, Osaka, Quito, Chaozhou, Fortaleza, Chittagong and many others.